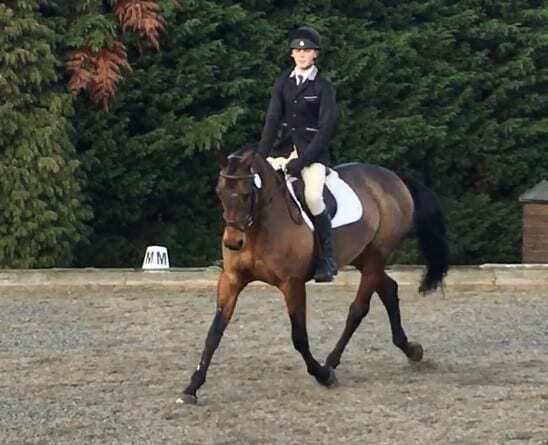 Saturday 10th November saw our third Akeley Wood National Schools Eventing Association, NSEA Horse Show. Seeing over 242 competitors throughout the day, two show jumping rings and a dressage ring, all running simultaneously, Addington Manor was alight with excitement. Children buzzing on ponies with eager parents ensuring they were well prepared. This event proudly hosted county dressage qualifiers from across Buckinghamshire, Bedfordshire, Hertfordshire, Northamptonshire and Oxfordshire. The top team and individual from each county will then go onto qualify for the championships, which will be held next April. Once again the Akeley team retained their three year unbeaten title and qualified once more for Buckinghamshire. I’d like to say well done to all Akeley riders from across the Junior and Senior School. Ellie B., Jayne S., Rafe G., Molly M., Jesse M., Jonty G., Freddie R., Harrison A., Izzy H. and Maddy H..
Special thank you to Jamie B. who couldn’t have his horse there on the day but kindly came along and helped with the show jumping ring all day. We are also very grateful to Natalie Harknett, our Equestrian Team Manager and her fantastic team of volunteers who ensured the day’s smooth running. Many thanks and well done to all our talented riders.